Yes, I’m totally showing my age. But back in the day, everyone wanted to be Smurfette, she was awesome, all the dudes respected her… ahhh good times. Anywho, when leaving the tournament in Dallas for a litle while to get a quick power nap at the hotel, we saw this crazy huge hat. So you gotta stop to take pictures there right??? You can find this perfect dress Here!!! Don’t forget to check out their 25% off Everything sale!!! Oh and My shoes were from Chinese Laundry, but they are super old, I love these from Saks Off 5th. 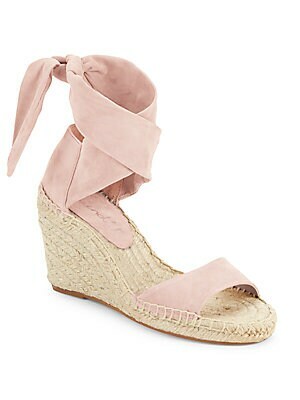 Check out these Open-Toe Espadrille Wedge Sandals !